GREYLAG is a golden era schooner oozing beauty, authenticity and impeccable pedigree - designed by the young Charles E Nicholson and built in 1897 by his family's yard, Camper & Nicholsons, Gosport. 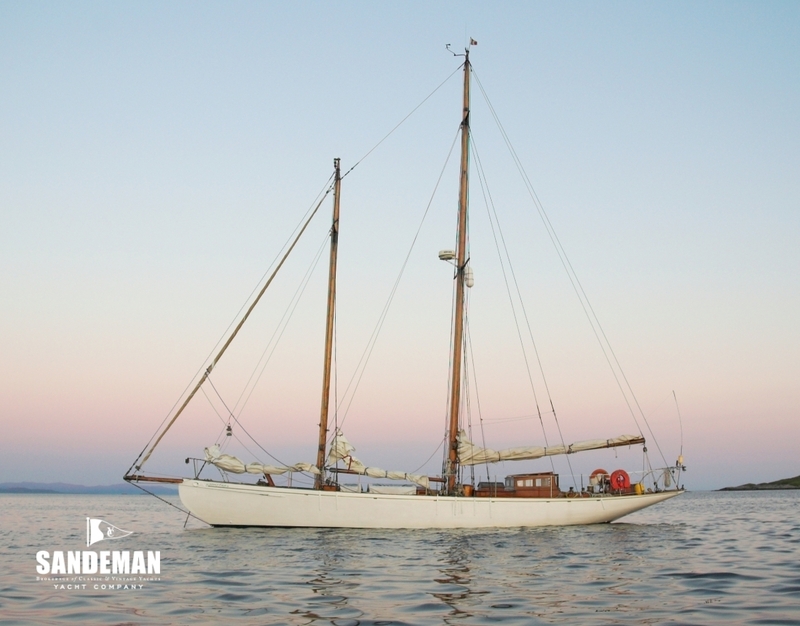 Although originally launched as a gaff main and jackyard topsail cutter - and rated as a Linear Rating Rule 40-Rater - she's been a schooner for most of her long and happy life, and in the care of the same family for the past 50 years. It is extremely rare nowadays to come across a yacht from this era so authentically preserved and still sailing as the designer imagined. 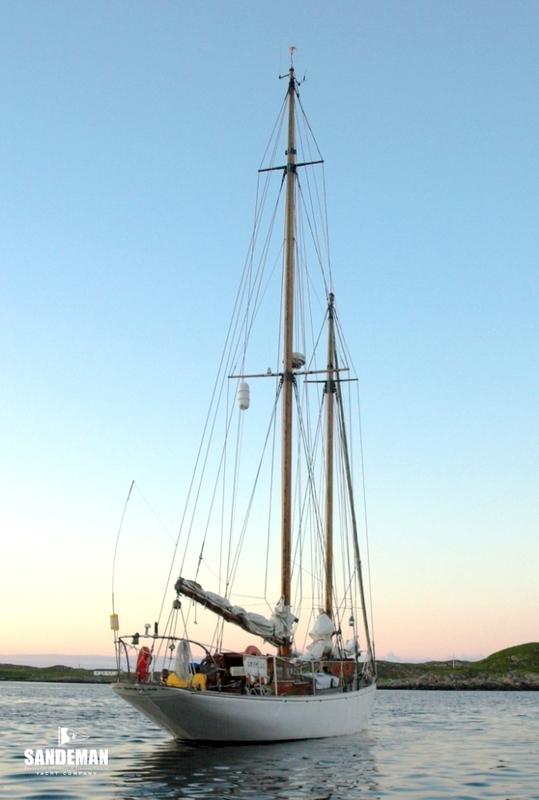 GREYLAG is a Victorian gem offering the possibility to refit by winter and continue sailing and enjoying by summer. This is a preliminary presentation of a New Listing with fuller specifications to follow. When GREYLAG came into life, her young designer’s radical racing raters were already becoming a thorn in the flesh of the established English, Irish and Scottish yacht architects. Yet it was in Charles E Nicholson’s genes to happily moderate things in the design of some highly successful ‘fast cruisers’. GREYLAG was precursor to a line of famously fast and wholesome vessels, like ILEX (1899), and FLAME (1900) in which the more mature and highly successful Nicholson would take line honours in the 1933 Fastnet Race. So GREYLAG comes oozing with unrivalled provenance as well as undoubted authenticity. Launched during the reign of Queen Victoria as the jackyard topsail gaff cutter MINNEHA’HA (said to mean “rapid water” in the North American Siouan language), her commissioning owner was 22-year-old Torquay gentleman of independent means F[rederick] Gordon George who had inherited the modern equivalent of around £12M on the death of his father five years earlier. But George’s particular passion was big game hunting and by the turn of the century, after passing briefly through the ownership of JM Carter of Eton College, MINNEHA’HA’s custodian became multiple colliery owner (later Sir) Arthur NL Wood of Chester le Street, County Durham, who changed her name to CORINNE. There are early 1900s reports of her racing out of Blyth, the home of the (later Royal) Northumberland Yacht Club and she most probably was based there during Woods’s three seasons of ownership - no doubt requiring regular cleaning from the source of her owner’s fortune as Blyth was then well on its way to becoming Europe’s largest coal exporting port. Still as CORINNE, she returned to ‘home waters’ in 1904 under the ownership of Charles Luxmore of Torquay, taking part in local regattas and cruising the English Channel until the first world war, after which Royal Cruising Club member Lt.- Col Geoffrey Lee Compton Smith DSO, Chevalier of the Legion d'Honneur, briefly owned her until, having survived being wounded twice in France, he became a victim of the Irish Civil War. Perhaps Compton-Smith had kept CORINNE in Ireland during his service there, because her next owner was Royal Cork and Royal Munster Yacht Clubs member and Cork bedding manufacturer Herbert C Fox who enjoyed her through the 1920s. In 1929 again after a very brief ownership by Robert Hall of Rushbrooke, Cork, CORINNE’s next owner remodelled her as we now know her. Commander Richard J Noal, RNR (rtd), CBE, was Marine Superintendent of the New Zealand trade Shaw, Savill & Albion shipping line, responsible for the design of some iconic cargo-passenger ships. Perhaps it was inevitable that in his hands CORINNE would receive a major makeover. 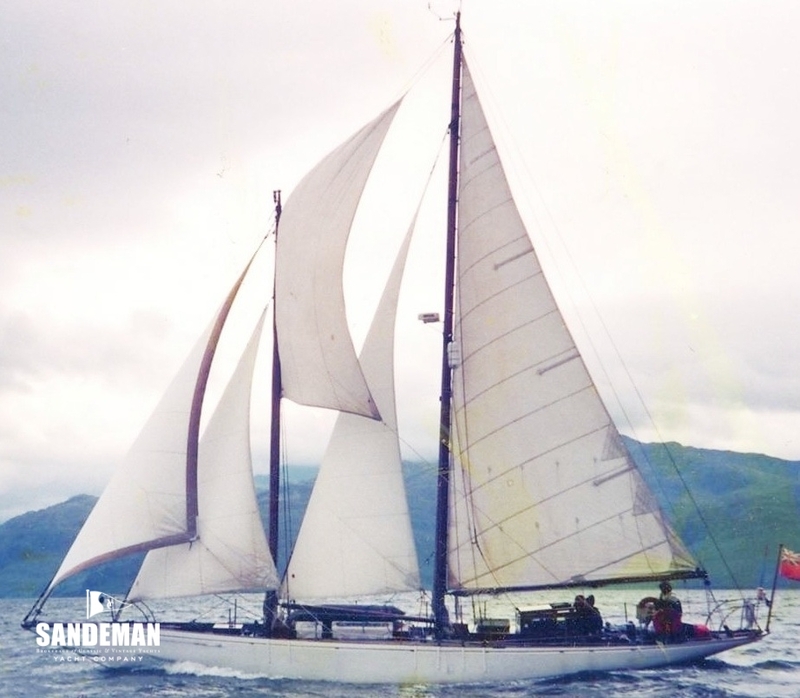 For the first time in her life of over 30 years she became an “auxiliary” with the installation of a Gleniffer motor, and was re-rigged as a staysail schooner. Under new ownerships through the 1930s and 40s her name changed to AOTEA until notable post second world war owner Lt-Col Sir Ralph St George B Gore of Devon gave her the present name, GREYLAG. 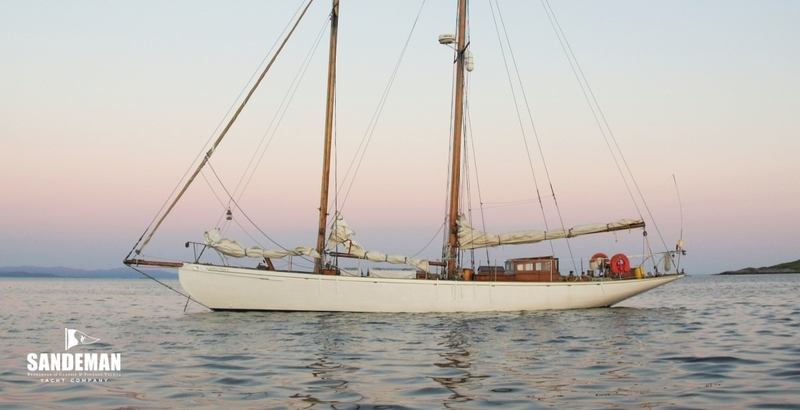 After a period of cruising in Denmark and Sweden under Dr SG Bayliss, and a mid 60s re-design of her rig by Camper & Nicholson naval architect Raymond Wall, her present owner and her late husband purchased GREYLAG in 1969 since when she has served as a very able, comfortable, graceful and much loved family summer home for cruises on the west coast of Scotland and in Ireland and south Brittany, including participating at the Brest '92 festival. GREYLAG is registered as a UK National Historic Ship. GREYLAG received a major refit and restoration 1989-1992 when the present engine and drive train were fitted. 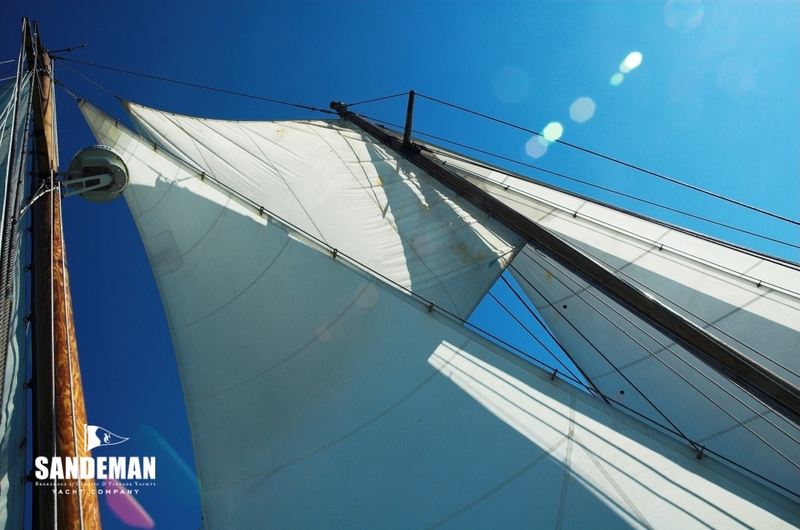 GREYLAG's bermudan staysail schooner rig is exceptionally versatile, allowing her to be easily and safely maneuvered, for example when sailing in confined waters, or in heavy weather under the two staysails.